Adults are recommended to have an eye examination every two years unless otherwise advised by your optometrist. It is recommended children have an annual eye examination to ensure healthy vision development. At Vision West we are able to screen for eye conditions including glaucoma, cataracts, macula degeneration and keratoconus. 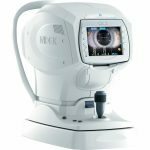 Comprehensive examination of the external and internal eye is undertaken as part of any regular eye examination at Vision West using the most up to date and accurate equipment. At Vision West we provide screening for signs of Diabetic Retinopathy. All of our optometrists are therapeutically endorsed, meaning they can prescribe topical ocular medications. Should any signs of an eye condition requiring medical intervention be apparent we will arrange for referral onto a suitable Ophthalmologist for treatment and management. 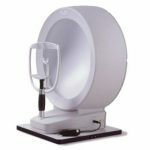 At Vision West we use the latest technology and equipment to ensure a comprehensive eye examination. 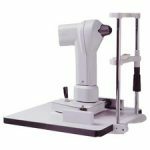 Visual Field assessment checks the sensitivity of the retina to light, and also for peripheral vision loss.